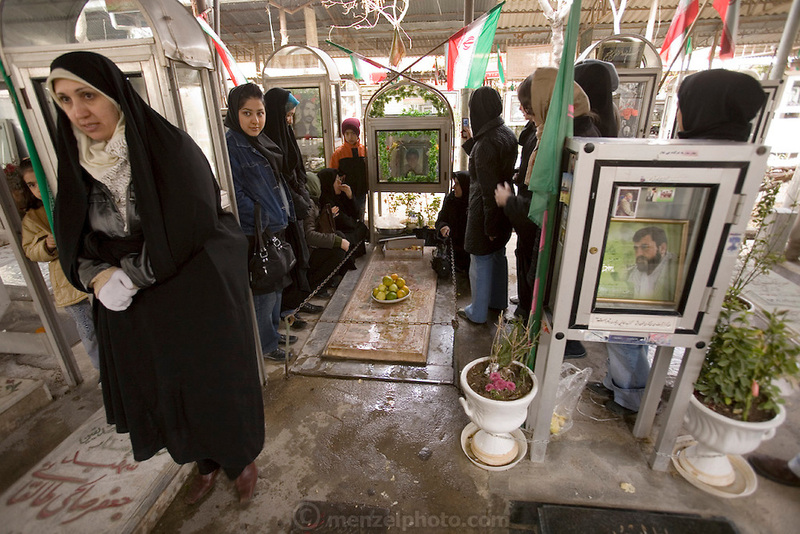 In the Martyr's section of the Behesht Zahra cemetery in Tehran, Iran, a family memorializes a family member killed during the Iran-Iraq war 1980-1988. Other parts of the cemetery are devoted to the rest of the population. Memorializing family members who have died is an important part of Islamic and Persian culture in Iran and follows a prescribed series of graveside visits. Iranians meet at the graves, bringing food to share with each other and passersby who pay their respects.